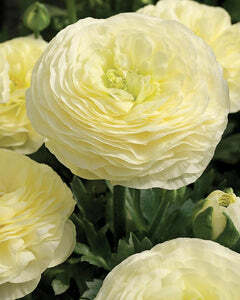 Whether your garden is a bijou urban hideaway or you have extensive borders to fill in a coastal or cottage garden (or any style in between) here’s a truly versatile and refreshing plant which is easy to grow and suits all themes. 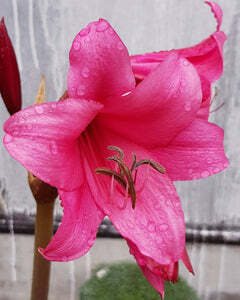 Trendy Acidanthera murielae, sometimes known as Gladiolus murielae or Abyssinian gladiolus, likes to soak up the sun and is just great for growing in pots as well as borders where it will light up your garden with its long-lasting and fragrant white starry flowers from August to autumn. 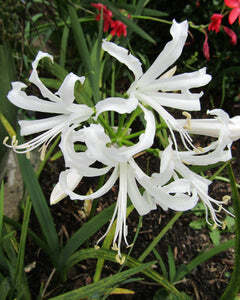 You can prolong your summer with late-summer gems such as Acidanthera. 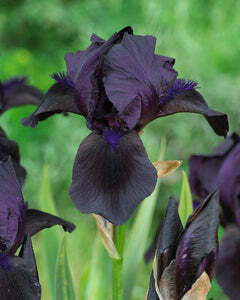 It’s wonderful to look forward to the fresh burst of interest they bring to the garden just as earlier summer blooms may be starting to look tired. 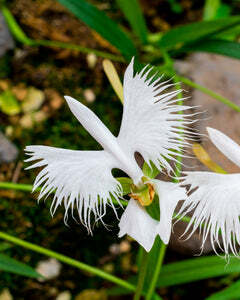 With a graceful, airy look, these purple-blotched white flowers appear at the top of upright stems above neat sword-like foliage. 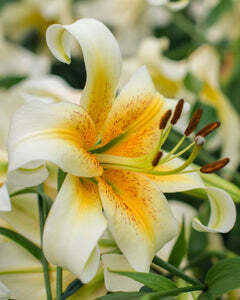 Plant them in groups and they provide an overall soft look which brings gentle movement to planting schemes as well as packing an impressive, heady scent. 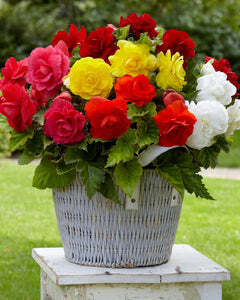 On top of that, they make fantastic cut flowers too, fit for a really special arrangement! 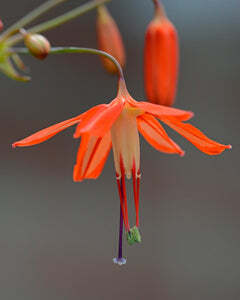 Originating from East Africa, these sun-loving and drought-tolerant plants grow well in a garden suntrap where they’ll require very little fuss to put on a lovely, easy show. Not entirely frost hardy, they’re normally treated as an annual, although they do often survive winter in the ground in milder parts of the UK or coastal areas. Alternatively, they can be lifted in autumn and stored for winter. 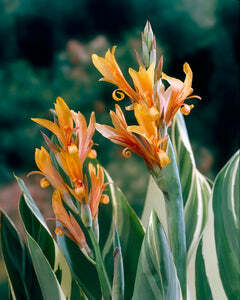 Acidanthera murielae grow from corms which look like traditional bulbs, with a papery copper-coloured outer coating, a rounded side and a pointed side. 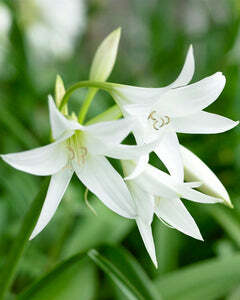 These corms should be planted singly into each hole approximately 20cm deep with the pointed side facing upwards. Give Acidanthera the sunniest spot in the garden which is sheltered from strong winds, they will thrive in virtually any soil. 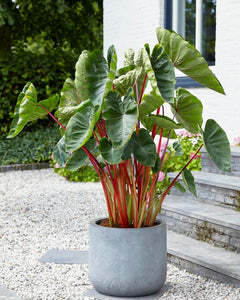 Happy in pots, you can enjoy them up close on the patio, near to a seating area where their scent and attractive flower details can really be noticed. 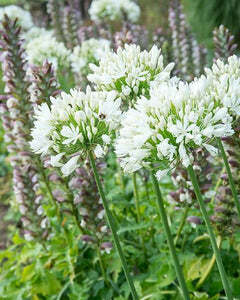 If you prefer, use them to create impressive drifts in the border among other flowering perennials or foliage plants. 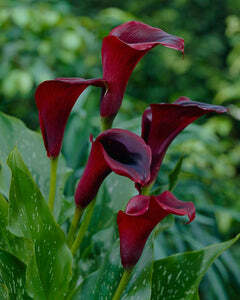 They look best planted in groups of six of more so the delicate stems can make a big impact. Plant in spring in a sheltered, sunny spot. If there is still a risk of freezing temperatures, it’s best to pot them up and start them off in a cool greenhouse or in a cold frame and then plant them out later. 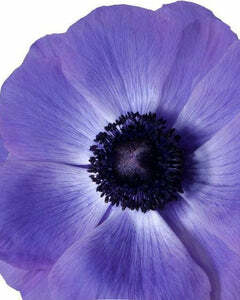 Alternatively, you can plant them straight outside from around mid-May onwards, or earlier if the weather looks set to be mild. If planting in pots, use a loam-based or multipurpose compost and choose a pot of a sturdy weight and size, at least 30cm in diameter and 30cm deep. Half fill the container with compost and position the bulbs, pointy side upwards, on the surface at a spacing of around 10-15cm apart from each other. 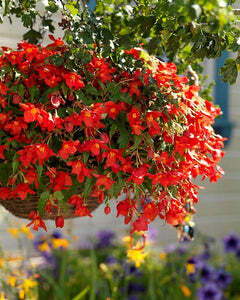 In a pot which is 30cm in diameter, you will need around 7-9 bulbs. Once the bulbs are in position, fill the container with more soil up to the top, with a 1-2cm lip of space below the rim to allow watering. Water pots thoroughly after planting, ensuring the soil is completely soaked through, but allow water to drain from underneath so that the soil isn’t soggy. Water regularly throughout the season whenever the soil is dry. If planting straight into borders, wait until the weather begins to warm up in the spring and there is a low risk of a deep frost. Use a trowel or spade to dig a hole approximately 15-20cm deep and plant one bulb (pointy side up) in each hole, then cover back over with soil. It’s worth marking the planted area with labels to avoid accidentally disturbing them before they emerge at a later date. Thoroughly water-in after planting and continue to keep well watered during hot or dry spells. Acidanthera sit quietly in the soil throughout early summer, but once they start to grow they do so quite quickly and normally will be in full bloom by around late August or early September. 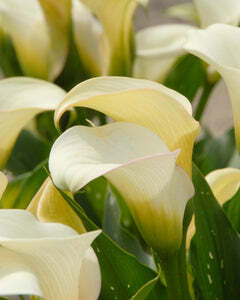 First, the sword-like leaves emerge around early August, soon after followed by an upright stem bearing multiple blooms which open in succession. 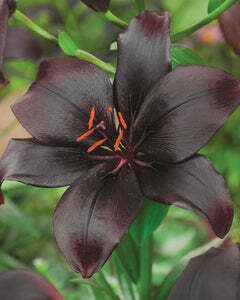 The delicate-looking star-like flowers have a punchy and distinctive purple blotch, their fragrance is sweet and fresh! Acidanthera are tender perennials, which mean they have the ability to return each year if stored correctly during winter. Whilst they can tolerate a cold temperatures, they won’t survive a typical wet UK winter with temperatures close to freezing for long periods of time. 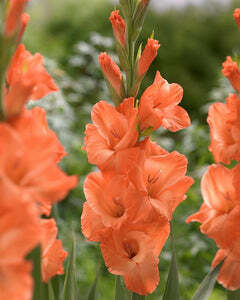 So unless you live in a particularly mild area or have a secluded, sheltered part of the garden that manages to stay frost free during the winter, Abyssinian gladioli are best either grown as an annual and discarded at the end of the season, or stored in a frost free place until the following spring. 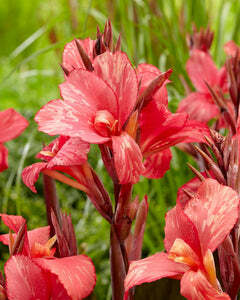 You can safely enjoy your Acidanthera right up until Autumn. 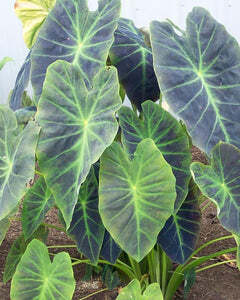 Allow them to stay in situ right up until the first frosts touch the leaves, then it’s time to cut them back. If your Acidanthera are grown in pots, you can simply cut back the foliage and move the pot to a sheltered, cool but frost-free location and leave them there until the following spring. If they’re in borders or you wish to free-up your pots for winter bedding, carefully dig up the bulbs then cut off the foliage. 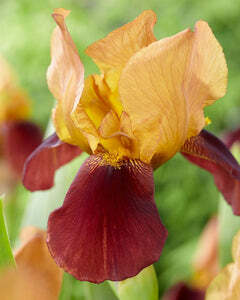 Shake any soil from the bulbs and store them in a tray on a shallow layer of old compost in a cool greenhouse or shed. 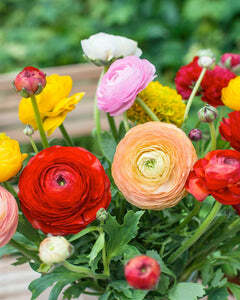 In the spring, they can be replanted. When choosing planting partners, consider their flowering times, growing preferences and heights. Acidanthera enjoys a sunny spot, flowers during late summer and grows up to around 1m tall, so try to match those three points with the habits of any potential partner for a full and harmonious display. Looking for inspiration? 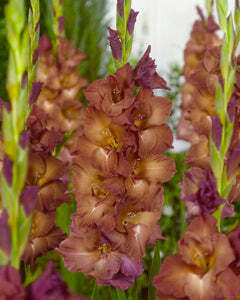 Here are three great planting partners to team-up with your Abyssinian gladioli! Dahlias put on a fantastically prolific show which lasts right through summer and well into autumn. Perfect timing for combining with late-summer flowering Acidanthera. Both blooming simultaneously, the stocky dahlias and delicate Acidanthera look great together. 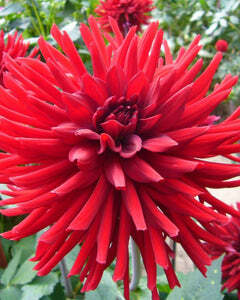 There’s a huge range of dahlias to choose from, Dahlia ‘Honka Black’ sets a striking contrast! Sun-loving Agapanthus sit perfectly happily in the same conditions as Acidanthera, and the contrasting flower forms of the two, both produced at similar heights, makes for a beautiful display. 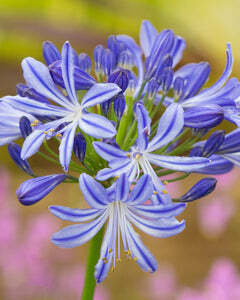 Extra special Agapanthus varieties, like ‘Black Buddhist’ make a luxurious colour combo. With bold, architectural foliage which maintains its fresh look throughout summer and into autumn, Cannas create the perfect contrasting backdrop which really shows off the slender grassy foliage and dainty flowers of Acidanthera. Both plants thrive in sun, plant them in neighbouring groups for a really impressive border combination!